In this blog post we'll go over two vulnerabilities I discovered which, when combined, enable arbitrary code execution within the "mediaserver" process from any context, requiring no permissions whatsoever. The first vulnerability (CVE-2014-7921) was present in all Android version from 4.0.3 onwards. The second vulnerability (CVE-2014-7920) was present in all Android versions from 2.2 (!). Also, these vulnerabilities are not vendor specific and were present in all Android devices. Since the first vulnerability is only needed to bypass ASLR, and ASLR is only present (in a meaningful form) from Android 4.1 onwards, this means that these vulnerabilities allow code execution within "mediaserver" on any Android device starting from version 2.2. Although I reported both vulnerabilities in mid October 2014, they were unfortunately only fixed much later (see "Timeline" for full description, below) - in Android version 5.1! This means that there are many devices out there which are still vulnerable to these issues, so please take care. You can find the actual patches here. The patches were pushed to AOSP five months after the vulnerabilities were reported. That said, the Android security team was very pleasant to work with, and with other vulnerabilities I reported later on, were much more responsive and managed to solve the issues within a shorter time-frame. Continuing our journey of getting from zero permissions to TrustZone code execution; after recently completing the task of getting to TrustZone from the Linux kernel, and after finding a way to gain code execution within the Linux kernel, we are left with the final step of gaining the privileges needed in order to execute our kernel exploit. 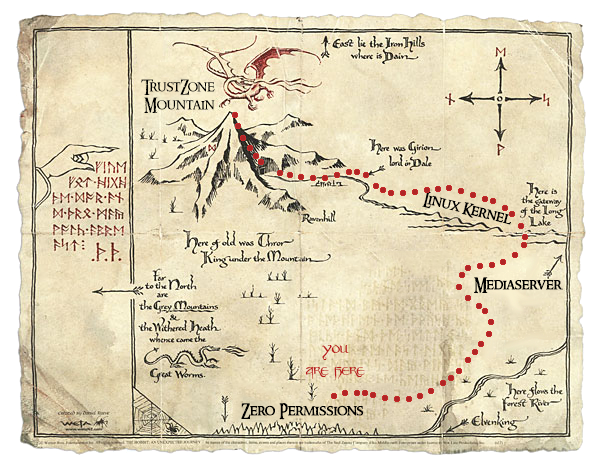 Gain execution within one of "mediaserver", "drmserver", "surfaceflinger" or "keystore"
In this blog post, we'll gain code execution within the "mediaserver" process, thus completing our journey from zero permissions to TrustZone kernel code execution. "media.audio_flinger" - Main configuration endpoint for media-related tasks, such as recording audio, muting the phone, etc. "media.camera" - Allows interaction with the device's cameras. "media.player" - Allows the playback of many different media formats (for example, by using the "stagefright" library). As you've probably seen, lately there's been a lot of focus on the "media.player" service (ala Stagefright) , especially focusing on different media-parsing libraries which are utilised by it. 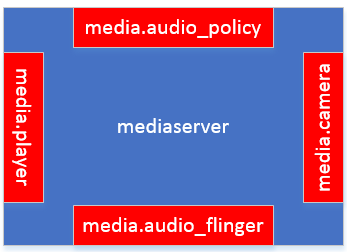 However, in this post we'll cover two vulnerabilities in a different service - the "media.audio_policy" service. Usually, when registering an Android service, the actual implementation of the service is provided in the Java programming language. This means that finding memory corruption vulnerabilities is more difficult, since those would only present themselves in unique circumstances (using a native "JNI" call from Java code, delegating a feature to a native library, etc.). However, in the case of the "mediaserver" process, all of the services housed within the process are implemented in the C++ programming language, making the prospect of finding memory corruptions much more viable. Actually, implementing a service is quite a hard task to fulfil in a secure manner - recall when we previously discussed kernel vulnerabilities? Well, in order to prevent accidental access to user-provided data, the kernel uses a coding convention in which user-provided pointers are marked as "tainted". However, for interaction between userspace services, there is no such feature. This means that implementers of a service must always pay attention to the origin of the processed data, and can't trust it at all. Here's the game plan - first of all, we'll need to look for a memory corruption vulnerability in the audio policy service. Then, we'll need to find a way to reliably exploit this vulnerability. 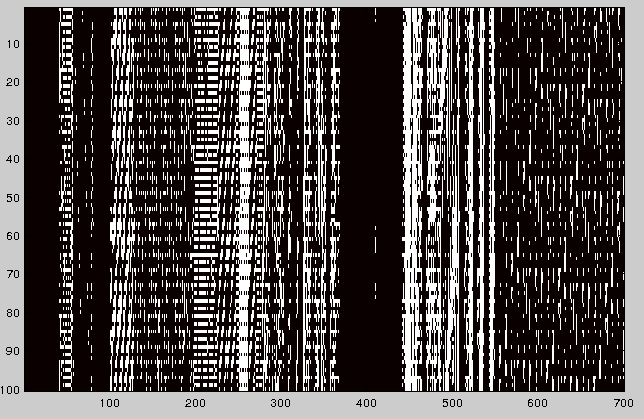 This is usually made difficult by the presence of ASLR. For those of you who haven't encountered ASLR (Address Space Layout Randomization) yet, you should definitely check this link for Android-specific information (and this link to see the problems still present in Android's ASLR implementation). Looks straight-forward enough. 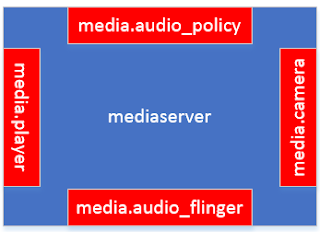 However, looking deeper reveals that while both "AudioPolicyService" and "AudioFlinger" register themselves as the handlers for commands directed at the "media.audio_policy" and "media.audio_flinger" services respectively, they actually acts as a façades for the real concrete implementation, which is provided after going through several layers of abstraction. The end result is that the actual implementation for most functionality provided by "AudioPolicyService" and some of the functionality provided by "AudioFlinger" are in fact handled by a single class - "AudioPolicyManagerBase". As a result, this is the class we're going to be focusing on from now on. Whenever a user would like to start an output stream on a particular output device (such as the front or back speakers), he may do so by calling the "startOutput" function, provided by the audio policy service. The output descriptor - this must be a device (such as the front or back speakers). The type of stream for which the output should be opened (should be one of the predefined stream types). The session ID - this should be a number corresponding to a previously opened session. Initially, the function verifies the "output" parameter by fetching the AudioOutputDescriptor object corresponding to the given output device. This means that this argument must, in fact, be valid. So - as we can see above, the function uses the "stream" argument as an index into an array (of 32-bit values) within the AudioOutputDescriptor object - and both reads and writes to that address, without ever sanitizing the stream number. We're off to a good start already! Regardless - there are still some constraints we need to figure out. First and foremost, in order to avoid unnecessary side-effects, we would like to choose an output descriptor which is not "duplicated" (so as not to execute the first block). Luckily, this is easy - most output descriptors are in fact not duplicated by default. Moving on, when would the second block in this function execute? Well, since the "delta" argument is always 1, this means we'll enter the block iff (int)mRefCount[stream] + 1 is negative. 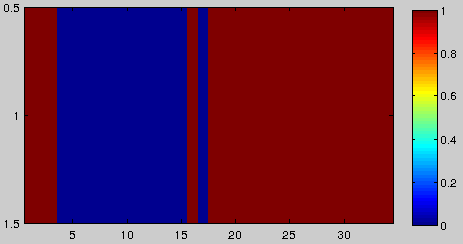 Meaning, if the value pointed to is larger than or equal to 0x7FFFFFFF (since we're dealing with a 32-bit system). The value being read is corrupted - this could be troublesome for quite a few exploitation techniques. So the target value is incremented by one; a limited write primitive. Note that the final log statement is not actually included in a release build (since ALOGV is an empty macro is those builds). Putting this all together, we get a write primitive allowing us to increment the value at mRefCount[stream] by one, so long as it is not larger than or equal to 0x7FFFFFFF. Now that we have a write primitive, let's look for a read primitive. Also, since our write primitive is relative to an AudioOutputDescriptor object, which is dynamically allocated (and is therefore located in a rather unpredictable location in the heap), it would be much more convenient if we were able to find such a primitive which is also relative to an AudioOutputDescriptor object. So once again - this method performs no validation at all on the given "stream" argument. Perhaps the validation is delegated to the internal AudioOutputDescriptor::isStreamActive method? Nope - lucky once again! Otherwise, if the time difference between the current system time and the value of mStopTime[stream] is less than the user-supplied argument - inPastMs. Since we would like to use this vulnerability as an easy read primitive, we would first seek to eliminate side-effects. This is crucial as it would make the actual exploit much easier to build (and much more modular). However, simply passing in the argument "inPastMs" with the value 0x80000000 (i.e., INT_MIN), would cause the last if statement to always evaluate to false (since there are no integers smaller than INT_MIN). This leaves us with a simple and "clean" (albeit somewhat weak) read primitive: the function isStreamActive will return true iff the value at mRefCount[stream] is not zero. Since the stream argument is fully controlled by us, we can use it to "scan" the memory relative to the AudioOutputDescriptor object, and to gage whether or not it contains a zero DWORD. 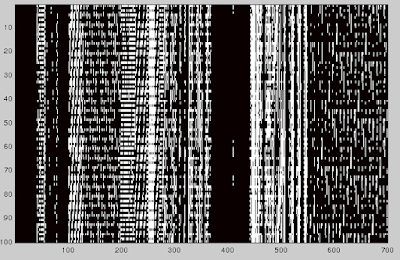 At this point you might be wondering - how can you even call this a read-primitive? After all, the only possible information we can learn using this vulnerability is whether or not the value at a given address is zero. Glad you (kind-of) asked! In fact, this is more than enough for us to find our way around the heap. Instead of thinking in terms of "heap" and "memory", let's use our imagination. 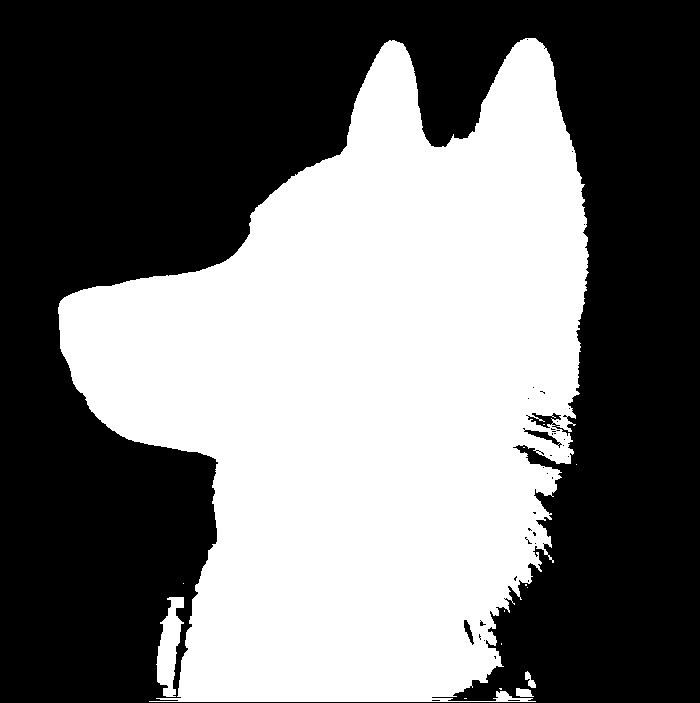 So it's safe - we can see it's only a dog. Let's look at the image again - did we really need all the heat information? For example, what if we only had information if a given pixel is "hot" or not? 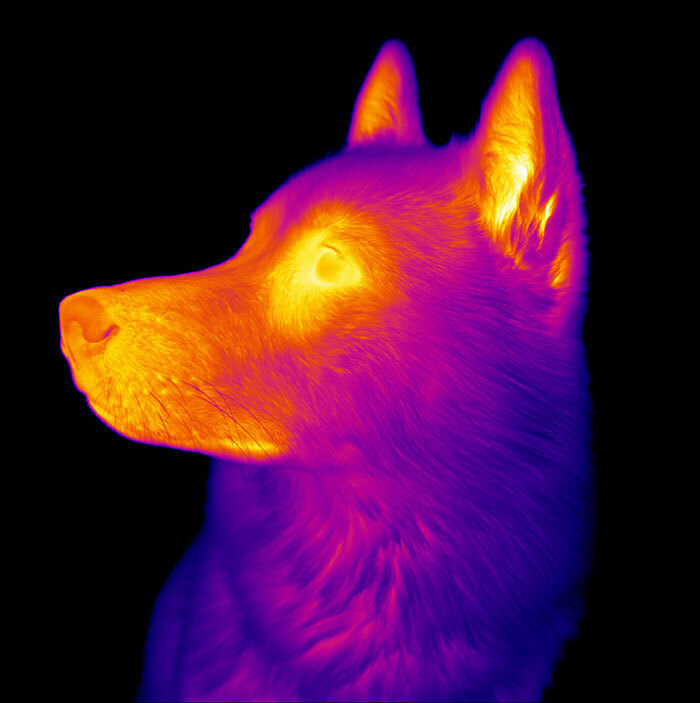 This is because the outline of the dog allowed us to create a "heat signature", which we could then use to identify dogs using our thermal goggles. So what about heaps and memory? Let's say that when a value in memory is non-zero, it is "hot", and otherwise, that memory location is "cold". Now - using our read-primitive, we can create a form of thermal vision goggles, just like the pair we imagined a minute ago. All that remains to be seen is whether or not we can create good "heat signatures" for objects we are interested in. So now that you're (hopefully) convinced, we can move on to building an actual exploit! In order to take this one step further, it would be nice if we were able to find an object that has a very "distinct" heat-signature, and which also contains pointers to functions which we can call (using regular API calls), and to which we can pass controllable arguments. Searching around for a bit, reveals a prime candidate for exploitation - audio_hw_device. This is a structure holding many function pointers for the implementations of each of the functions provided by an actual audio hardware device (it is part of the audio hardware abstraction layer). Moreover, these function pointers can also be triggered at ease simply by calling different parts of the audio policy service and audio flinger APIs. However, what makes this object especially interesting is its structure - it begins with a header with a fixed length initialized with non-zero values. Then, it contains a large block of "reserved" values, which are initialized to zero, followed by a large block of function pointers, of whom only the second one is initialized to zero. So we can easily find these objects, great! Now what? We've already seen how we can search for a audio_hw_device by using the heat signature mentioned above, but what about creating new primitives? As you can see, an audio_config structure is populated using the user-provided values, and is then passed on to the audio hardware device's implementation - get_input_buffer_size. This means that if we find our audio_hw_device, we can modify the get_input_buffer_size function pointer to point to any gadget we would like to execute - and whichever value we return from that gadget, will be simply returned to the user. First of all, we would like to find out the real memory address of the audio_hw_device structure. This is useful in case we would like to pass a pointer to a location within this object at a later stage of the exploit. This is quite easily accomplished by using our weak write primitive in order to increment the value of the get_input_buffer_size function pointer so that it will point to a "BX LR" gadget - i.e., instead of performing any operation, the function will simply return. Since the first argument provided to the function is a pointer the audio_hw_device structure itself, this means it will be stored in register R0 (according to the ARM calling convention), so upon executing our crafted return statement, the value returned will be the value of R0, namely, the pointer to the audio_hw_device. Now that we have the address of the audio_hw_device, we would like to also read an address within one of the loaded libraries. This is necessary so that we'll be able to calculate the absolute location of other loaded libraries and gadgets within them. 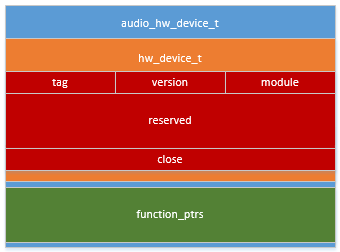 However, as we've seen before, the audio_hw_device structure contains many function pointers - all of whom point to the text segment of one of the loaded libraries. This means that reading any of these function pointers is sufficient for us to learn the location of the loaded libraries. At this point, we know the location of the audio_hw_device and of the loaded libraries. All that's left is to create an arbitrary write primitive. As we've since before, three user-controlled values are inserted into a structure and passed as the second argument (R1) to get_input_buffer_size. We can now use this to our advantage; we'll pass in values corresponding to our wanted write address and value as the first two arguments to the function. 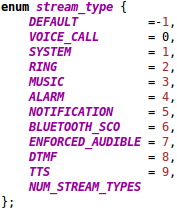 These will get packed into the first two values in the audio_config structure. Now, we'll search for a unique gadget which unpacks these two values from R1, writes our crafted value into the wanted location and returns. This means we can now increment the get_input_buffer_size function pointer to point to this gadget, and by passing the wanted values to the AudioFlinger::getInputBufferSize function, we can now write any 32-bit value to any absolute address within the mediaplayer process's virtual address space. Now that we have all the primitives we need, we just need to put the pieces together. We'll create an exploit which calls the "system" function within the "mediaserver" process. Once we have the addresses of the audio_hw_device and the library addresses, along with an arbitrary write primitive, we can prepare the arguments to our "system" function call anywhere within mediaserver's virtual address space. 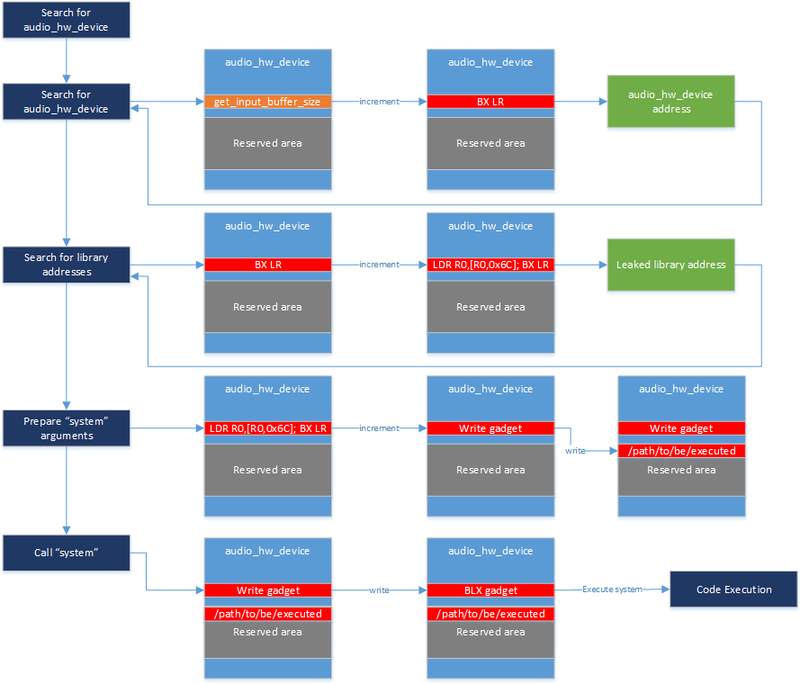 A good scratch pad candidate would be the "reserved" block within the audio_hw_device, since we already know its absolute memory location (because we leaked the address of the audio_hw_device), and we also know that overwriting that area won't have any negative side-effects. Using our write primitive, we can now write the path we would like to call "system" on to the "reserved" block, along with the address of the "system" function itself (which we can calculate since we leaked the library load address). The gadgets were collected for Android version 4.3, but can obviously be adjusted to whichever Android version you would like to run the exploit against (up to Android 5.1). I highly recommend that you download and look at the exploit's source code - there are many nuances I did not cover in the blog post (for brevity's sake) and the each stage of the exploit is heavily documented. How can I consist the ROP? How can I bypass ASLR? Good work man. Glad Google was made aware and mostly promptly released a patch. Now just to get Marsh on my PRIV and I'll be happy. 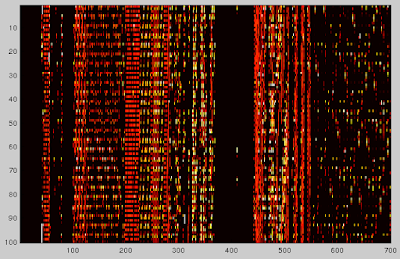 Based on this analysis, we can increase/decrease a nonnegative value, but if the address of get_input_buffer_size is negative(when I test on my phone, it is negative), is there any method to make it nonnegative? Unfortunately not with these primitives. In that case it might be simpler to just find another note nonnegative value that can be used to hijack control flow. Thanks a LOT for letting us learn from your experiences. As an exercise, I have been trying to port your exploit to LRX22C (Android 5.0.1) but just at the beginning, it fails at finding the audio_hw_device even though the structures are completely the same (verified with source code anaylsis). As far as I understood, the only difference between 4.4 - 5.0.1 is dlmalloc & jemalloc which is irrelevant? I would suggest manually dumping the mediaserver's heap (using GDB or any other tool), and looking for the structure. That would be a helpful first step towards figuring our where the audio_hw_device is located. Primary device address is not initialized! It means that this exploit wasn't successful? Thankyou for sharing your experiences with us. This should help a lot of people out and they can learn from it. Impressive work. Should this exploit be only run at the actual device? I want to run it using emulator. How can I follow the logs in the code(I want to see the result for example the output of "printf"s in the code). I am new to Android, sorry if it is a dumb question! f your echo won't connect to wifi Or having any problem to setup Alexa to Wifi then Don't Worry we are here to help you just follow the simple steps which is given on our website. We'll help you to connect Alexa to wifi, connect echo to wifi and amazon echo not connecting to wifi and other problems. For instant help call us at our amazon echo dot help number +1-888-409-8111. To setup your echo show device, first download Alexa app on your mobile/ tablet. follow on screen instruction in Alexa app and search for wifi Netwrok and sElect your network enter password and then click on connect button and your Alexa is now connected with wifi. FOR TECHNICAL SUPPORT/ASSISTANCE OF ECHO DOT WIFI SETUP CONTACT: +1-888-409-8111 OR MAIL US: info@activaterokulink.com DESCRIBING YOUR PROBLEM. Goto Roku Com Link and enter link code for Roku activation. We are third party Roku activation service provider. Thank you for the blog. It's a really very nice your article on the android. Thank you so much for the sharing. We are here to help you in amazon echo setup and alexa.amazon.com.Our team provide technical service to download alexa app and alexa.amazon.com. For Instant help, you can call us at our toll-free: +1-844-239-8999. I really like your post, it has some interesting and useful points. Are you currently dealing with a malicious program called 9oogle? Alexa app for windows 10? Our experts Alexa team is here to help you how to download alexa app for windows 10 & setup echo dot . Instant help: 1-844-239-8999. You don't know how to Download Alexa App for Mac, Download Alexa App for Pc? Simply visit alexa.amazon.com and get the Amazon Echo Dot Setup, Amazon Echo Setup, Echo Wifi Setup, Echo Show Setup, Setup Echo Plus etc. For Instant, help call at toll-free no. +1-888-745-1666. |I visit your blog. It is really useful and easy to understand. Hope everyone get benefit. Thanks for sharing your Knowledge and experience with us. Setup Echo Dot is a fairly easy process that can be done in a few minutes. Go to the app store on your mobile phone and search for the Alexa App. Then click on the download button when you find this app. Dual Synthetic Micais very smooth and soft to touch like natural mica. It has holographic characteristics. This means that these mica powders of Synthetic mica displays more than one or two colors in a very iridescent and unique way. My companion enlightens me concerning this blog. There is a great deal of good data on this blog, I cherished understanding it and I figure individuals will get a ton of help from this (QuickBooks Update Support) blog. I extremely like it highlights from this as well. I trust you like this blog. I trust you got a ton of assistance from this blog. In the is_non_zero primitive, can you explain what the 7FFFFFFF 80000000 00000001 etc offsets are for in the code on github. Why do you need to pass INT_MIN as inPastMs ? Wouldn't zero work just as well and elim the side effects of the code block at the end ? A debt of gratitude is in order for perusing this blog I trust you discovered it bolsters and supportively data. I have perused your blog great data in this Change your world with Facebook live blog. It was great learning from this blog. Your blog is a decent motivation for this blog. We provide complete Setup for Amazon Echo Devices like Amazon Alexa Setup, Alexa App, Echo Dot Setup, Echo Wifi Setup, Setup Echo Plus, Alexa Setup, Alexa App for Mac and you can also Dơnload Alexa App for alexa.âmzon.com. For Instant, help call at toll-free no. +1-888-745-1666. The world needs no introduction regarding the rivalry between iOS and Android News smart phones. While the applications and facilities provided by both Android and iOS operating systems is a lot different from each other, but the world smart phone customer base gets hugely affected with each new launch from these giants. While iOS devices are known for their high- end modern smart phones, the Android operating system made it possible for the people to have access to all advanced technologies at a range of affordable prices. If you want to know about Amazon Alexa Setup, Alexa App, Echo Dot Setup, Amazon Alexa App, Amazon Echo Dot, Setup Echo Plus, Echo Wifi Setup then visit alexa.amazon.com and Download Alexa App for Mac to get Amazon Alexa Setup.For Instant, help call at toll-free no. +1-888-745-1666. Thank you for sharing this information. I read your blog and I'm not stopped my self to read your full blog. Again Thanks and Best of luck your next Blog in future. Our Adult Size Bibs are the perfect solution to keeping the patient clean while eating while at the same time making the caregivers life easier by preventing clothes from becoming dirty. Our shirt saving bib collection options are vast. We have terry bibs, bibs with a crumb catcher pocket, lightweight bibs, waterproof bibs, extra wide and long bibs, different closure options such as Velcro closure or snap closure. Absorbent terry bibs or stylish bibs. After reading this article now i can understand something about android, Thanks for uploading this. Use https://www.mcafeeactivationhelp.com/mcafee-setup.html for activate and get support help. My companion has applauded your blog and I need to peruse your blog. There is a ton of good data on your blog, I cherished understanding it and I figure individuals will get a great deal of assistance from this (Toll free number for Facebook support ) blog. Sam, I have composed this sort of blog, I figure you will get a great deal of assistance from this as well. I trust you like my blog, Users will get a great deal of data from this blog. I trust you like my blog. I trust you got a ton of assistance from this blog. The latest FOX business news nba: breaking personal finance, company, View the latest business news about the world's top companies, and explore articles on global. We are best and trusted bangladeshi online news portal website. Everyday we publish the national and international latest news. If you want to get regular newslatter from our newspaper, please go home page চলচ্চিত্র and click the below subscribe button. The 3 week diet plan is a science-based loss weight program (without weight loss pills) which guarantees a user to lose weight 12-23 lbs. of body weight in just 21 days. The primary inventor of this exclusive weight-reduction plan is Brian Flatt who is a head coach, sports nutritionist, & personal trainer & has worked for lots of years in his specialised area.He has trained several of his circle to effectively lose stubborn fat & also build powerful strength. The 3 Week Diet is a unique online 95-page ebook separated into many segments such as work out, motivation, diet, mind-set & will power.Go here for more information about health tips. Though most people focused on losing weight those are dieting, the reality is that they should be lots focused on losing fat in the body. The numbers on your extent are far less essential than the quantity of your waistline; however that is something that some people truly focus on. Through the Eat Stop Eat program, you will know how to use a system of intermittent fasting to assist you how to lose weight fast without exercise & also encourage drop of body fat. Kidney disease is one of the most debilitating disease which can have anyone life. When your kidneys turn into damaged, your life will absolutely be going downhill mostly since it would be very hard to rebuild the kidney’s before functioning. Fine that is what many medical practitioners speak. But the All Natural Kidney Health and Kidney Function Restoration Program appears to deviate from this thought offering good suggestion & techniques on how you will be capable to get your kidneys usual functioning back yet when they have turn into severely damaged.Go her for more All natural kidney disease & kidney function restoration program review. Latest sports news headlines from around the world with in-depth analysis, features, photos and videos covering football, tennis, motorsport, golf, rugby, sailing, skiing, horse racing and equestrian. We are best and trusted bangladeshi online news portal website. Everyday we publish the national and international latest news. If you want to get regular newslatter from our newspaper, please go home page অটোমোবাইল and click the below subscribe button.